India’s biggest corporations are spreading their wings and becoming truly global organizations. 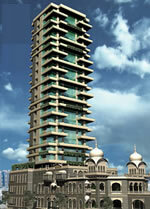 Mittal Grandeur promises to be Mumbai's newest landmark. It is being built on the grounds of Taraporevala Mansion, a heritage structure. When he was growing up in Canada, Bundeep Singh Rangar, now chairman and CEO of IndusView Advisors, never thought he would see the day when a major US-Canadian company such as Novelis, the world’s largest producer of rolled aluminium, would be bought by an Indian company. But in February this year Mumbai-based Hindalco Industries of India, an aluminium and copper manufacturer, announced a $6.4 billion takeover bid for Novelis. The onset of the new year marked the start of a major spending spree by cash-rich Indian companies looking to launch themselves on the global stage. According to IndusView, 2006 was a year of firsts for Indian companies in terms of record growth in Indian cash reserves and GDP (the average growth rate for India from 2006 to 2007 was just under 9%). Rangar also anticipates that the recent upgrade in India’s sovereign credit rating to investment grade by Standard & Poor’s will boost foreign direct investment (FDI) levels, which are predicted to more than double to $12 billion this fiscal year, the highest increase ever. 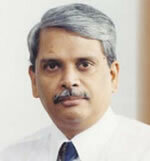 Kris Gopalakrishnan: The labor cost advantage was a way for us to create a niche. Last year was also the year when Indian companies stepped up their crossborder M&A; activity, spending $10 billion to fund overseas acquisitions, according to IndusView. Most of that money was directed at European markets, particularly the United Kingdom, where, according to Rangar, Indian companies invested $2 billion in 2006. Rangar anticipates that 2007 could see a further “land grab” by Indian companies as they look to expand their business portfolios and ensure continued revenue growth outside of their core market. “A number of companies have global ambitions that have not been realized, and their ability to finance these acquisitions is in place,” Rangar says. IndusView predicts that India’s IT and software-related services sector will continue to perform strongly, reaching $21 billion in revenues in 2007, with the business process outsourcing (BPO) market expected to increase by 34% to $12.6 billion in 2007. “In the past, Indian IT companies served a global customer base,” observes Rangar. “Now they want to be global themselves.” Tata Consultancy Services’ CEO, S. Ramadorai, has made no secret of his ambitions to transform an Indian IT success story into a global consultancy to rival leading providers such as EDS, Accenture, IBM and Cap Gemini. How will they finance their global expansion? Tata and Infosys are sitting on a war chest of cash balances in excess of $1 billion. The top-four Indian IT services companies—Infosys, Wipro, Tata and Cognizant—have combined annual revenues of $10.57 billion and an aggregated market cap of $73.44 billion, which puts them on the list of the world’s top-10 such companies. The market cap of Indian companies in this industry is generally much higher than their Western counterparts, partly because their net earnings and revenues are growing at a much faster rate. But it is not just the IT services sector that is riding the crest of the India Inc. wave. Their success is being replicated in other industry sectors, particularly the automotive, pharmaceutical, healthcare and telecommunications sectors, with Vodafone recently winning its $11.1 billion bid for a controlling stake in Hutchison Essar, India’s fourth-largest mobile phone company. IndusView predicts that increased integration with global trade and increasing recognition of global patents will see the Indian pharmaceutical industry grow by more than 13%, reaching $6.5 billion in 2007 and a market size of $9.5 billion by 2010. Some of the Indian pharmaceutical companies that are making their presence felt on the global stage include Ranbaxy Laboratories, which plans to raise $2 billion on the US market to fund its proposed acquisition of the generic drugs business of Germany’s Merck. But in order for the strong economic growth Indian companies are currently enjoying to continue, local companies are beginning to realize they need to look further afield. Arguably, companies like Infosys, Wipro and Tata Consultancy Services have already built a global client base, but the challenge now for India Inc. is to build global brand names to rival those of IBM and Accenture. 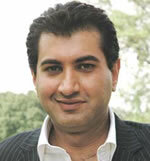 Rangar says the concept of “global brand building” is relatively new to Indian companies. “Two years ago firms like Tata Consultancy Services had only two people in their UK marketing team compared to a US company, for example, which may have 30 people,” he says. The Tata brand may be well known in India, but globally it does not enjoy the recognition of names such as Wal-Mart, although Tata Steel is perhaps more widely known following its acquisition of the UK’s Corus Group. Rangar believes that Indian IT companies like Infosys will continue to meet investors’ expectations. However, he says tier-2 and tier-3 firms will need to consolidate if they are to keep up with the rapid annual growth rates and a multi-million dollar revenues being achieved by tier-1 firms. Bundeep Singh Rangar: A number of companies have global ambitions that have not been realized. One thing Indian companies are not lacking is an “entrepreneurial” spirit, which has helped companies like Infosys and Tata reach the top. Infosys was founded in the 1980s by a group of software professionals that left Patni Computers to set up their own company. Similar examples of entrepreneurial dynamism include people such as Jignesh Shah, who reportedly mortgaged his home to raise the seed capital for his company, Financial Technologies (India) Ltd, which went on to build a trading system for the Bombay Stock Exchange and India’s first Multi Commodity Exchange. “Nationalistic socialist governments had the impact of stifling industry competitiveness until the 1991 reforms,” says Rangar, referring to the economic reforms that followed the 1991 exchange crisis, which led to higher rates of economic growth. Effectively, India is playing “catch up,” continues Rangar, from the period in the 1700s when it constituted 24.4% of world income to 1952 when India’s share plummeted to 3.8% due to “over-regulation and colonialism.” “That is now being corrected,” says Rangar. US investment bank Goldman Sachs predicts that India has the potential to achieve rapid economic growth over the next 30 to 50 years if development proceeds successfully. 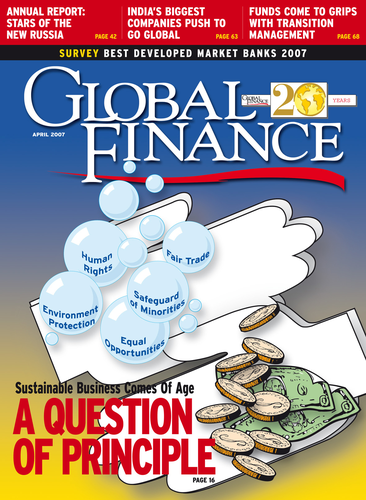 One of the key competitive advantages Indian companies have enjoyed over their Western counterparts is labor cost arbitrage, but as rapid economic growth gives rise to a burgeoning middle class and alternative low cost centers emerge, how long can India Inc. leverage low labor costs to its own advantage? According to Rangar, wage costs in the IT/BPO sector have increased by 25% to 30%, which is higher than the rate of wage inflation in the West. “That is also why Indian companies are looking at overseas acquisitions,” he says. “The labor cost advantage was a way for us to create a niche,” says Gopalakrishnan, adding that he expects that advantage to remain for a few more years. Yet with so much emphasis on India’s rapid rate of economic growth, it is easy to forget factors that still cloud foreign investors’ perceptions of the market. One classic example is the woefully inadequate infrastructure, which makes it difficult for India to compete with markets like China, which invests more in roads and other transport infrastructure.